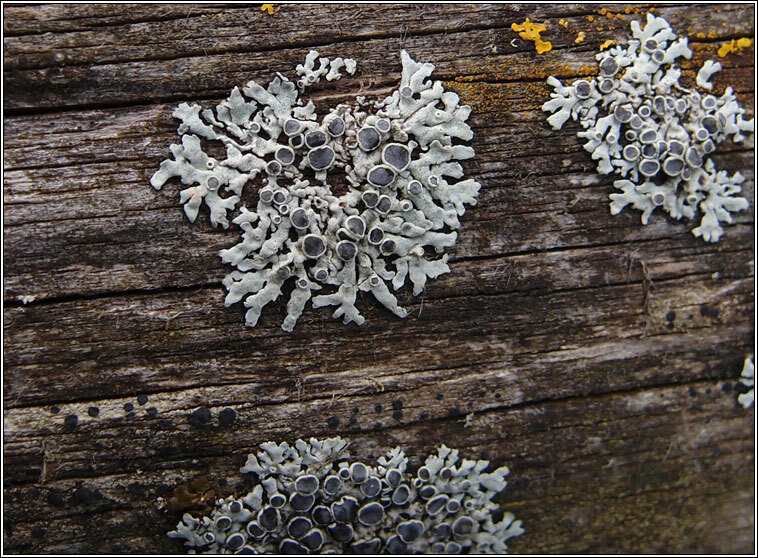 Common on well-lit, nutrient-rich trees, often found in the nodes of twigs and branches. 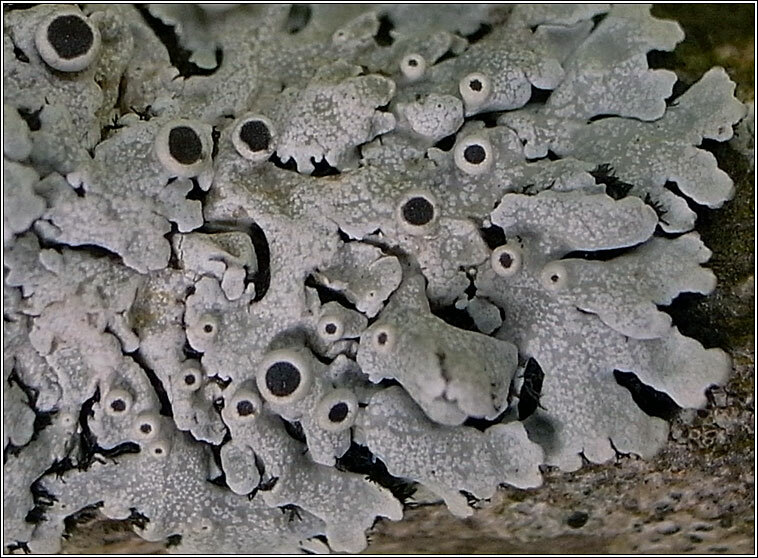 Whitish or pale bluish-grey thallus with very distinct pale pseudocyphellae on lobes and dark rhizines on under-surface. 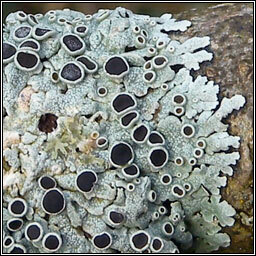 Abundant blackish, +/- pruinose apothecia. 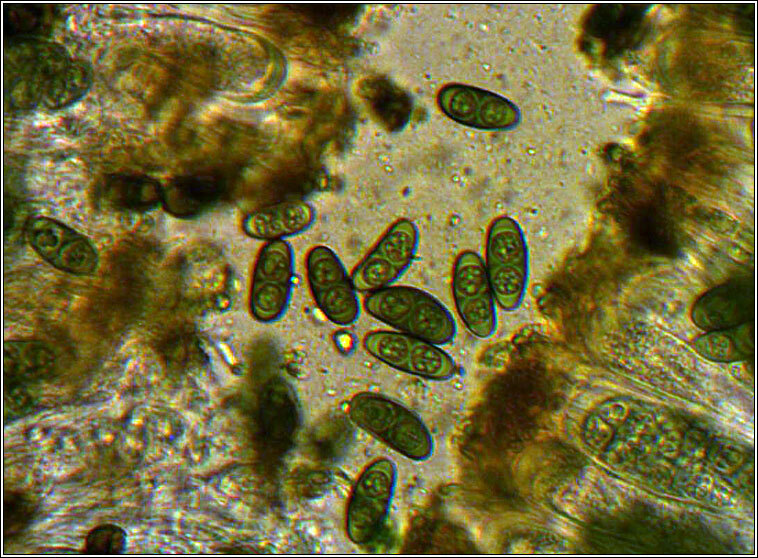 Spores 1-septate, brown, 18-24 x 7-10 µm. 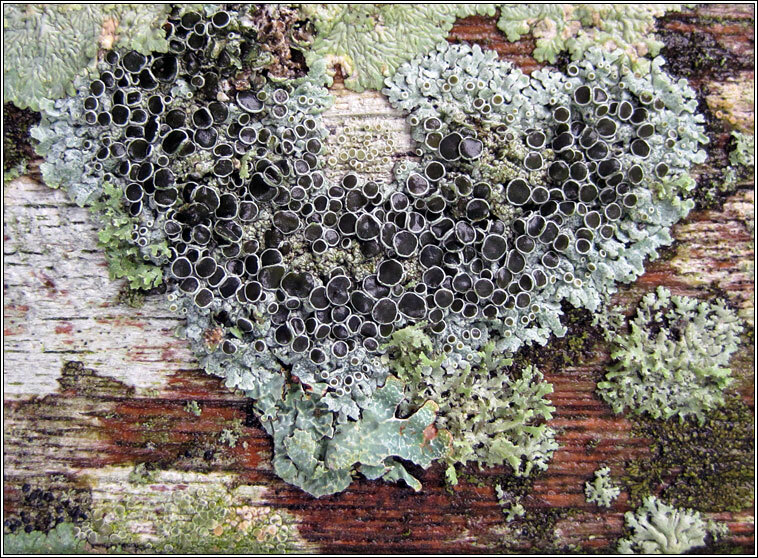 Microscope photograph below.